at affordable prices for the artists! Be out front all the time and show your products TODAY! 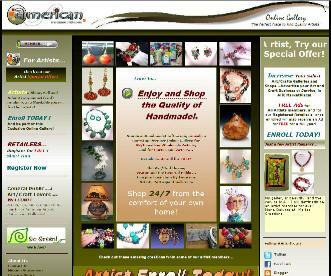 AmericanHandmadeCrafts.com is created by artists...Just like you! 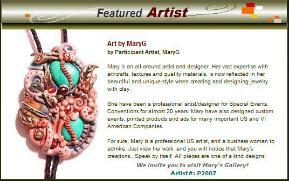 We provide a one-stop Premier Online Gallery for all US and Canadian Artists. Please, choose your Artist Category upon your business needs. 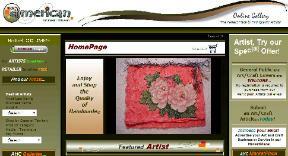 artist pages at the AHC Online Gallery! shopping cart. 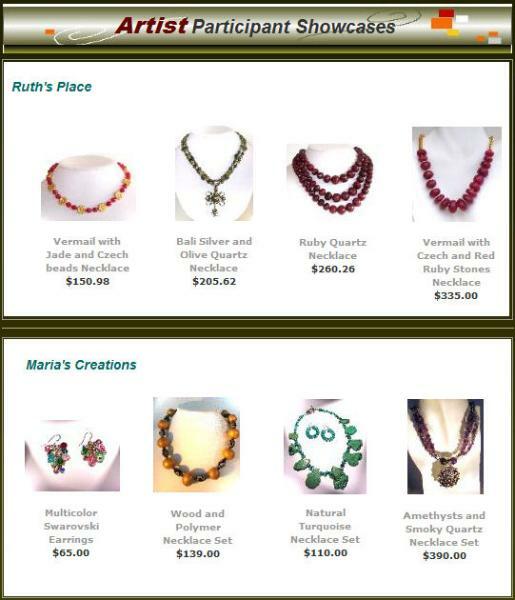 All artist products, have a "sole page"
item information from the artist. in the website of AHC! Feature Artist will be at this spot for 4 full months. logos or text to verify our status on the web. to give you a quik example. 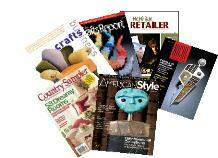 major magazines and publications of Art/Crafts in the industry. the same or a similar category! and wholesale. Your 6 months Artist Starter plan trial begins counting once your gallery is created and published. After the free trial, your monthly fee will be only $12.00 per month. One payment plan must be selected with enrollment. "Important Enrollment Topics" shown in the left column. Don't delay...and Join Us Today!